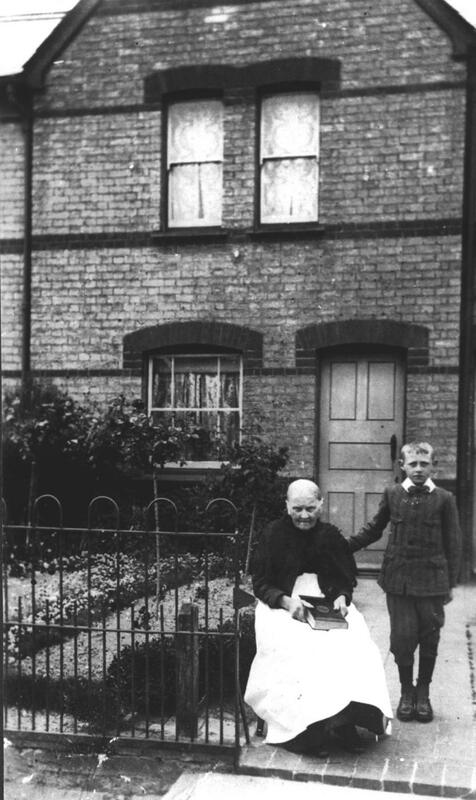 Ann Hare, nee Dawson, and her grandson Fred Pearce in the same row of houses, 4 Hanscombe’s Cottages. The weekly rent of 2s 6d was paid as a lump sum annually at Michelmas (29th September), which was the beginning of the old farming year. 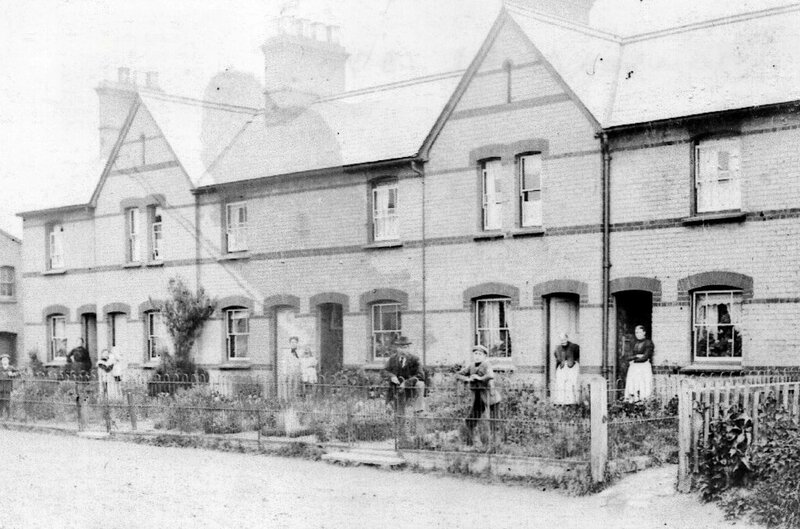 After William Hanscombe died, tenants were given the first refusal of buying their properties. Standing at the gate of 12 Shillington Road are Charles and Susan Lake. This house has always been tenanted by members of the Lake family. 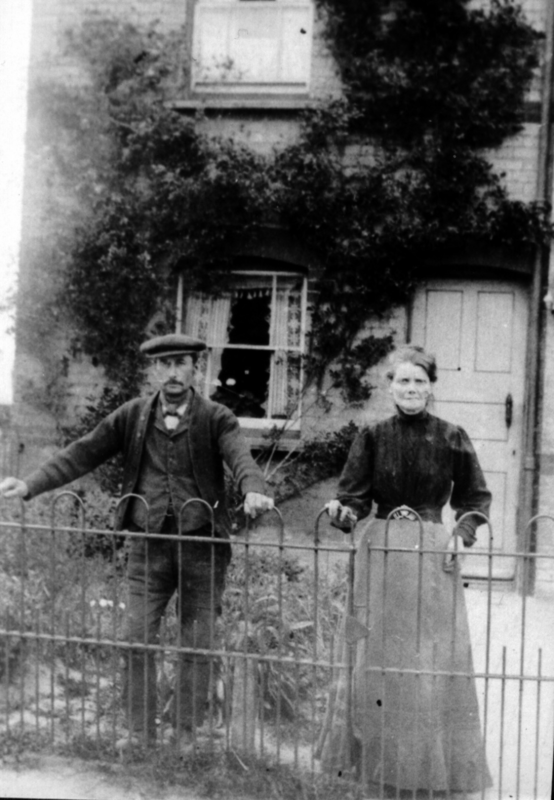 After Charles, came his son Harry and wife Alice, and today grandson Doug lives there.